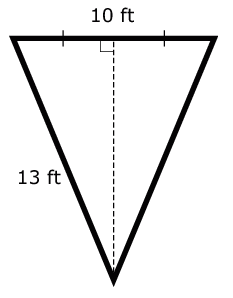 What type of triangle is shown below? Triangle MNO and triangle PQR are similar. What is the length in units of segment NO? What is the ratio of the two line segments ? 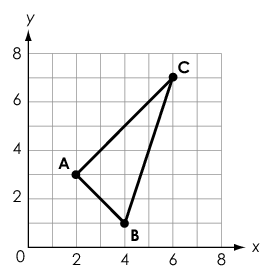 Line segment AB has endpoints A(-1.5 , 0) and B(4.5 , 8). 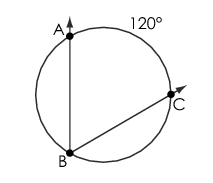 Point C is on line segment AB and is located at (0,2). What is the ratio of AC/CB ? 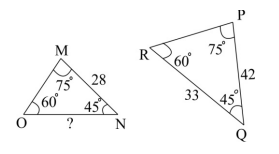 What figure results from rotating the triangle 360°? 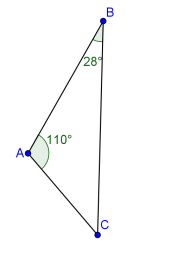 What three-dimensional figure results from rotating the triangle 360° about segment AC ? A sign company is building a sign with the dimensions shown. What is the area, in square feet, of the sign? Which term is defined as two intersecting lines that form four right angles in a plane? 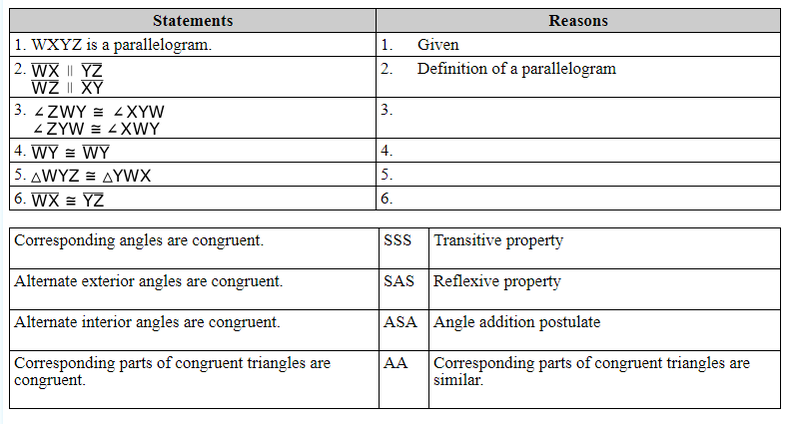 A parallelogram and an incomplete proof are shown. What is the length, in inches, of side a ?